The Southern Normal School opens in Bowling Green, Kentucky in the former Van Meter family home. 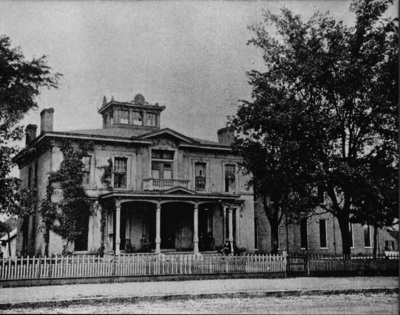 Notes from Camilla Gerard about this photograph: The first school in this building was operated by Prof. S. M. Gaines and later by Col. George Edgar. The building to the right was added to the original home and was used by the old Southern Normal School and alter, the Bowling Green Business College. This picture was made about 1898.